Well it seems like Apple hasen't forgotten the Mac Pro. 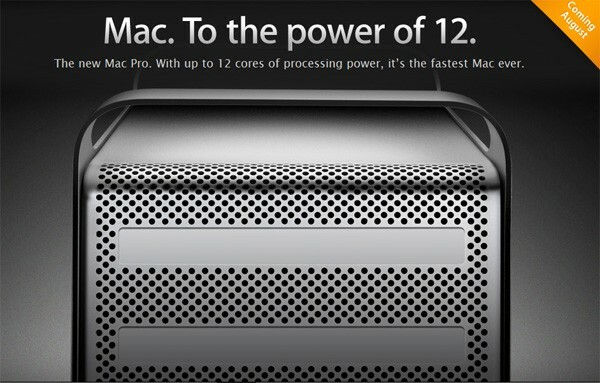 As they have just announced that they are going to release a 12-Core version of the Mac Pro in August! It is said that the new Mac Pro will be 50% faster than the previous Mac Pros's! CUPERTINO, California-July 27, 2010-Apple® today unveiled a new Mac® Pro line with up to 12 processing cores and up to 50 percent greater performance than the previous generation. * Featuring the latest quad-core and 6-core Intel Xeon processors, all-new ATI graphics and the option for up to four 512GB solid state drives (SSD), the new Mac Pro continues to deliver amazing performance and expandability for the most demanding consumers and professionals.